Former designer Ikeda to lead luxury brand in U.S.
Accavitti, 56, joined American Honda as its chief marketing officer in 2011 before being promoted to his latest role at Acura in April 2014. LOS ANGELES -- Mike Accavitti, vice president and general manager of Acura, has abruptly left the company and has been replaced by Jon Ikeda, American Honda Motor Co. said Monday. Ikeda was formerly division director of auto design at Honda’s R&D Americas division and has been with Honda since 1989. Accavitti, 56, joined American Honda as its chief marketing officer in 2011 before being promoted to his latest role at Acura in April 2014. 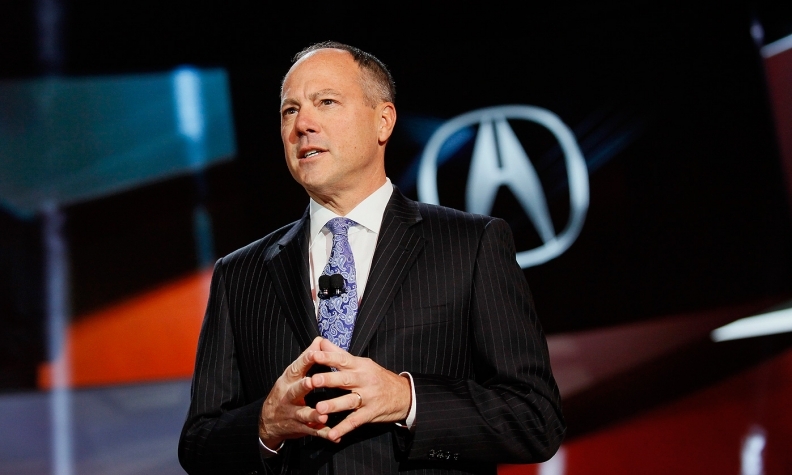 Acura gave no reason for Accavitti’s departure. Ikeda, with the Acura ZDX hatchback. The change in leadership at Acura comes as the brand's U.S. sales have advanced 12 percent so far in 2015, outpacing the market's overall gains. Acura has surpassed Cadillac in U.S. sales this year but still largely trails luxury leaders BMW, Mercedes-Benz, Lexus in volume. 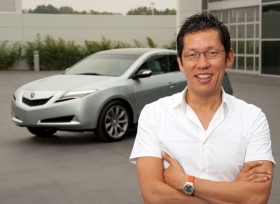 Ikeda, a graduate of Art Center College of Design in Pasadena, Calif, led the design team on the 2004 Acura TL, and played a key role in the 2007 creation of a design studio for Acura, one separate from Honda’s on its Torrance, Calif., campus. Prior to joining Honda, Accavitti was a consultant for Cisco Systems and earlier worked for Chrysler for more than 20 years. Sergio Marchionne named Accavitti CEO of Dodge in 2009, but Accavitti resigned just four months later.